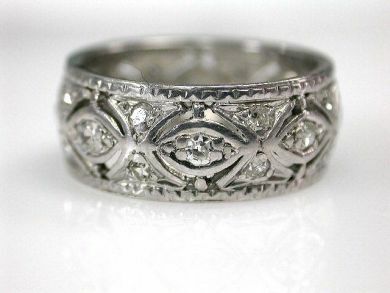 One custom-made vintage platinum openwork band. Eight single cut diamonds (0.24 carats: VS-SI clarity: G-H colour). Sixteen single cut diamonds (VS-SI clarity: G-H colour).